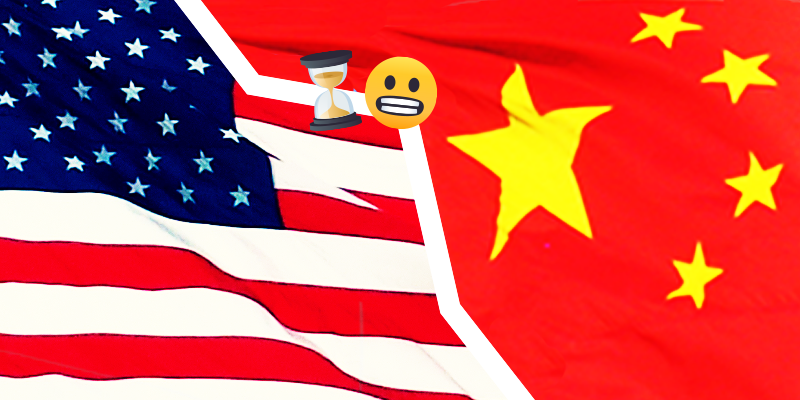 With the trade war’s March deadline inching closer, President Trump has shown his intentions to extend the due date to hash out the finer details of the arrangement between the world’s two largest economies. However, while this sounds all hunky-dory, there may be some more concerning factors at play below the surface. While the press releases have been filled largely with positive overtures about “constructive and serious” trade talks, there has been a distinct lack of any concrete evidence of progress between the two warring parties. An extension could mean one of two things. Either both parties are cognisant of the economic impact of reaching the deadline without a deal or there are some sticking points in the negotiations that have yet to be resolved. The market has mostly priced-in the positive side of the equation with Wall Street rising during yesterday’s session and Asia opening mostly in the green this morning. Tangible evidence of a trade deal or the latter is likely to rule sentiment for the coming weeks with emerging market equities and currencies likely to feel the biggest effects of any developments. Let’s all hope they can button this thing up ASAP. We don’t need another October-style fire sale! 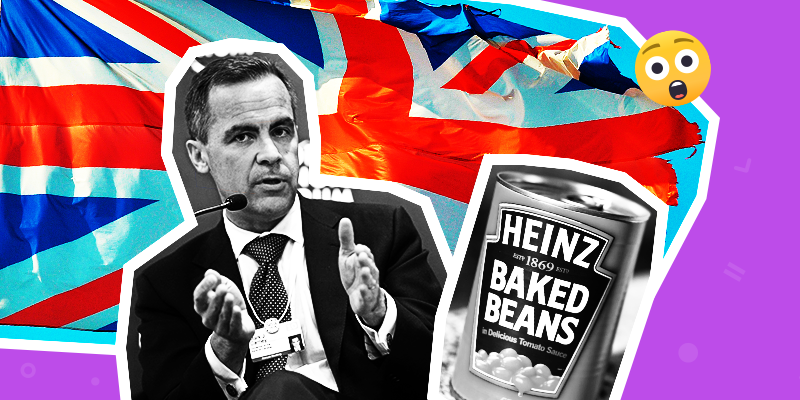 Bank of England Governor, Mark Carney, spilled the beans about the potential economic fallout from a no-deal Brexit. And to say it’s not pretty would be a serious understatement. While his speech focused on the outlook for the global economy and Brexit, he also spoke out against the rising tide of protectionism and trade wars which threaten the “delicate equilibrium” of trade and markets. He’s not wrong there! Carney argued that, “A no-deal, no-transition Brexit would be an economic shock for this economy … and it would also send a signal globally about the prospects of refounding globalization.” The subsequent fallout would damage living standards substantially and a weaker Pound would not have the positive impact forwarded by some Brexiteers. On the flip-side he urged lawmakers to reach a deal that could see the formation of a new basis for international trade built on a more equal balance between domestic and supranational interests. All-in-all some sage words ahead of the Brexit deadline which, at present, could produce any outcome. Tick-tock goes the Brexit countdown clock. 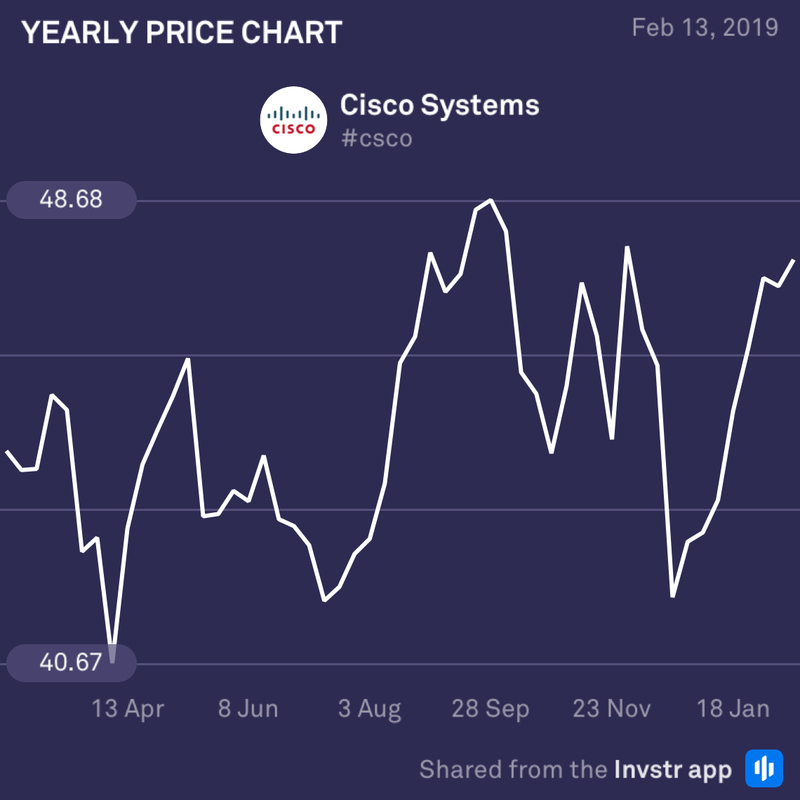 Cisco bumped up a few percent during yesterday’s session ahead of its earnings announcement today in what may be a positive sign of a potential earnings beat. Shares have risen 19% since Christmas, outperforming its peers by quite some distance. The company has seen surges in its application and security divisions, and the trend may continue into 2019 as the firm draws neck-and-neck with Apple thanks to its recent downturn. The consensus EPS estimate is $0.72 on revenue of $12.41bn. The bears are coming out in force against AIG whose fourth quarter has been a rough one to say the least. 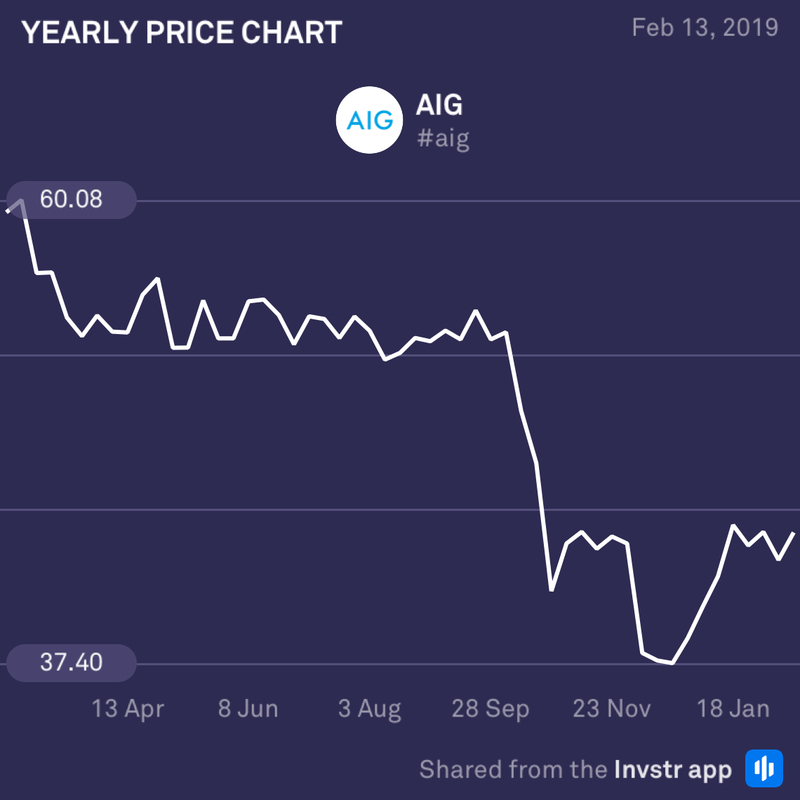 Weaker performance in the property and casualty market, unfavourable forex volatility and a number of catastrophic claims paints a rather poor picture for AIG ahead of its earnings today. Even though the company made progress with the restructuring of its General Insurance branch, net-interest income still managed to decrease by 3.2% during the quarter. The consensus EPS estimate is $0.47 on revenue of $12.2bn.